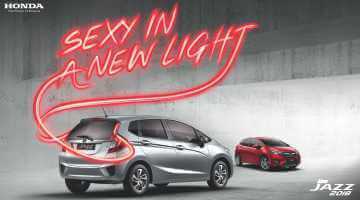 Honda Cars India Ltd announced the introduction of special editions of three of its models Honda WR-V, Honda City and Honda BR-V. 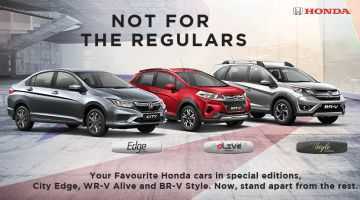 These special editions include Honda WR-V – Alive Edition, City – Edge Edition and BR-V – Style Edition. 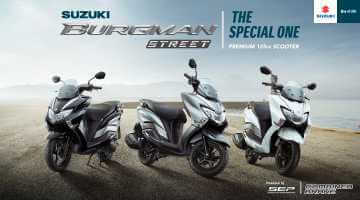 The special editions are available at Signature Honda Kannur, Thalassery and Kasargod showrooms. 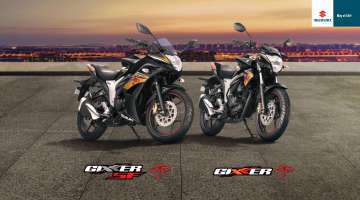 Ex showroom price starting at Rs 8,14,000 (WR-V Alive Edition), Rs 9,96500 (City – Edge Edition) and Rs 10,44,500(BR-V – Style Edition). 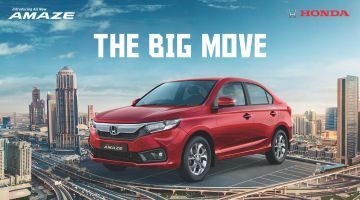 The Honda WR-V – Alive edition comes with a host of comfort, convenience, and safety features and is based on S grade including the 16-inch diamond cut alloy wheels, Alive emblem, rear camera with IRVM display and rear parking sensors. 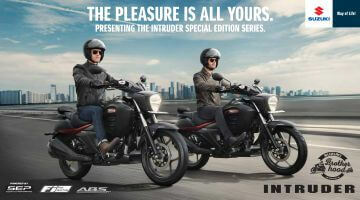 The premium seat cover on the model is with the Alive Edition logo, along with premium steering wheel cover. 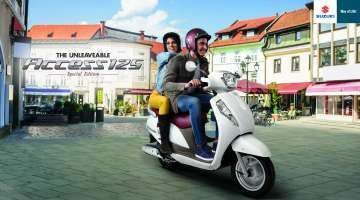 Customers will also get one month of Honda Connect subscription for free. Additionally, WR-V now comes with a new exterior color – Radiant Red Metallic and is available in all grades of the WR-V. 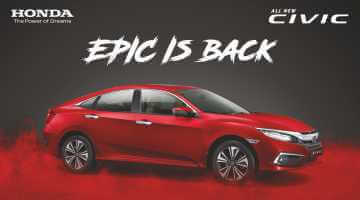 The Honda City – Edge edition is based on SV grade and comes enriched with Special Edition Emblem, 15-inch Diamond Cut alloy wheel, rear camera with IRVM display and rear parking sensors. 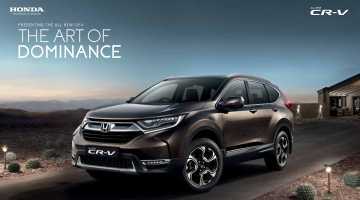 The Honda BR-V Style edition is available across grades. 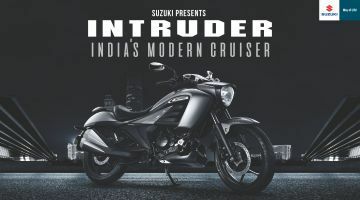 The enriched and stylish looks include Special Edition Emblem, front guard, front & rear bumper protector, tailgate spoiler and body side moulding .